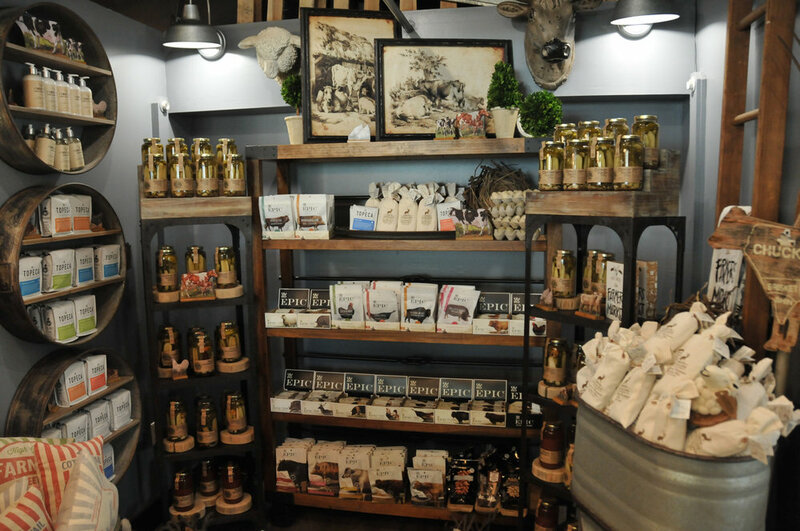 We carry a variety of savory and delicious beef, venison, and buffalo jerky, including our own artisan jerkies. Jumpin Jackalope’s jerky is USDA approved, grain fed, open range, and made in the USA from choice cuts of beef, venison, and buffalo. We offer several moist and tender choices, including original, hickory smoked, ring of fire (habanero and chili peppered), sweet garlic, jalapeño garlic, teriyaki, and whiskey barbecue! Born in Oklahoma, No Man's beef jerky and beef sticks are flavorful, dry smoked and available in hot or mild. Epic stives to provide Paleo diet friendly and healthy meat snacks. 100% grass-fed and gluten free, they combine their beef, turkey, pork and more with a variety of spices, nuts and seeds to create a wholesome and delicious snack! Country Archer jerky offers healthy and delicious options like grass-fed beef and antibiotic-free turkey and pork. This Oklahoma owned USDA approved beef jerky from El Reno is hand trimmed, sliced not pressed, and available in original, black pepper, teriyaki, and with snack sticks in original, habanero, peppered, and bacon flavored as well as the classic real beef jerky chew! Fun flavors from Wyoming, including cherry vanilla, root beer, watermelon, and strawberry rhubarb!